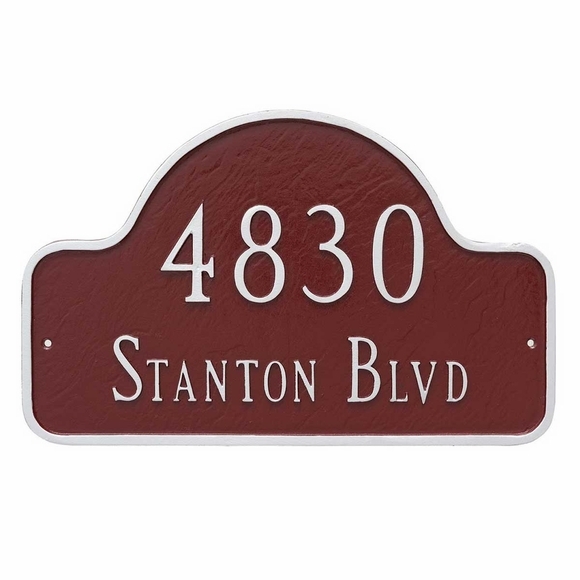 Arch Shape Address Plaque 15.75 x 10 - - two-line address sign holds street number and street name. Made in USA. Each plaque is crafted from rust-free cast aluminum. Made for you in the USA. Characters and border are part of the sign, not added on. Address on this plaque: 4830 Stanton Blvd.